Here’s one of the stranger boating mishaps we’ve seen – a skipper getting into trouble while attempting to launch his boat at Koolewong boat ramp on the Central Coast, at around 11 o’clock this morning. 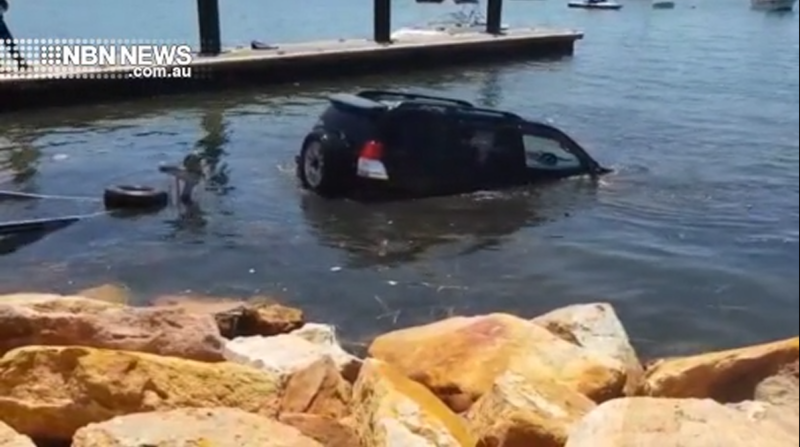 Onlookers tell us they have no idea how the vehicle ended up facing nose-first, plunging into the Brisbane Water. The car and trailer were eventually retrieved around 90 minutes later. Nobody was injured – the driver however, may be a little redfaced.